Thomas Riedel, CEO Riedel Communications. 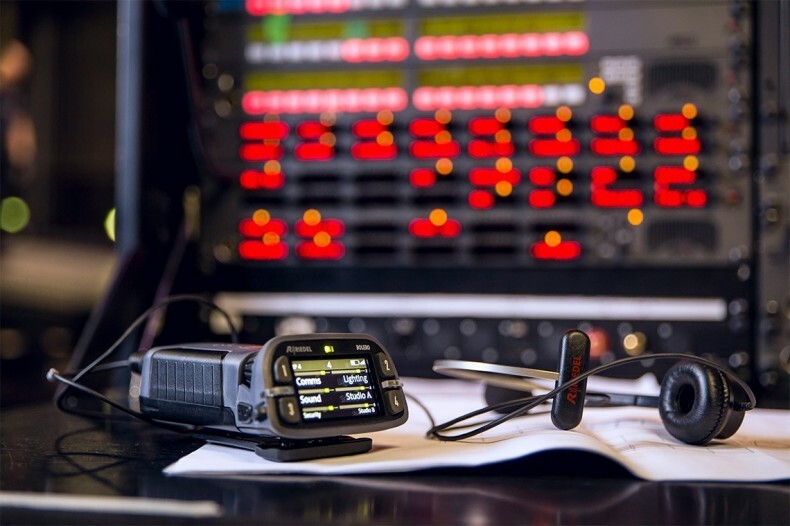 Riedel is best known for its expertise in intercoms, but in the last decade the company has diversified into media networks with the MediorNet products. The company’s products are found at prestigious events from Formula One motor racing to the Eurovision Song Contest, provided as a service, or sold to broadcasters and mobile fleets. The Broadcast Bridge spoke to CEO Thomas Riedel for a preview of IBC2017 product launches, and to hear his vision for the future direction of the company. Wide area networking of audio and video is gaining importance, especially as the cost of fiber links decreases. Riedel Communications is a major player with the MediorNet product family. The company acquired MediorNet in 2007 and after a redesign, the product was relaunched in 2009. This was well before IP networking of video was commonplace. “MediorNet is now a significant part of our business, it is about one third of the manufacturing side. We see it growing in the future as it is an ideal entry into IP, migrating from legacy formats to an IP future.” said Riedel. In recent years there has been much standards devlopment from bodies like the Video Services Forum (VSF) and the SMPTE. Broadcasters and telcos lean towards standards whenever possible, it makes interoperability much easier and avoids vendor 'lock in". Similarly, the IP audio interface adheres to AES67. As to the ad hoc standard, Dante. “We offer Dante interfaces for our intercom, with support coming for MediorNet,” said Riedel. Riedel Communications are best known for their intercom systems, used by major broadcasters as well as large sports organisations like Formula One and Red Bull. Although intercoms are a mature technology, there are still advances to be made. Large and complex events are facing more and more demands for wireless devices, whether it is roving cameras, radio microphones or wireless intercoms. This demand is taking place as the available spectrum is shrinking, with mobile operators able to outbid broadcasters and events companies to take over large bands of the RF spectrum that were once available. The company’s response to these demands for for more wireless intercoms has been Bolero. This is an all-new intercom system capable of supporting 10 beltpacks per antenna and up to 100 antennas in a single deployment. Based in the license-free DECT 1.8/1.9GHz band it uses multiple-diversity and RF anti-reflection technology for greater RF robustness. Lack of spectrum is a huge challenge. Having the right codec helps, “we use 32 kb/s whereas many of our competitors are using 64 kb/s. That means we can carry twice as many channels in a given bandwidth.” said Riedel. Riedel Bolero beltpack with intercom panels behind. The much-heralded solution is the move to IP and commercial off-the-shelf (COTS) IT equipment. Riedel doesn’t see this route offering an instant solution. “We believe that the migration will take ten to fifteen years.” He sees several obstacles in the way before connecting an all-IP system is a simple, as plug-and-play as SDI. The first is the challenge of finding good people with the specific knowledge of audio, video and IT. A regular IT guy does not have the experience to operate real-time audio and video over 2022 or 2110 streams. The company is supporting the AMWA Networked Media Incubator project, which aims to improve interoperability between vendors with systems based on IP networking. This year is the thirtieth anniversary of the company, so what does Riedel see looking back? Riedel Communications is unusual in that it started as a rental company and later became a manufacturer. Riedel is said that if he were starting out again today he wouldn’t do both, however it has its advantages. The product managers on the manufacturing side receive first-hand feedback from the users in the services division. The high profile of customers for the services, like Formula One and Red Bull, help the Riedel brand. “I hope we are still as passionate in five years’ time as we are now. We will have significant growth, but the challenges of the industry are huge.” Riedel added that he sees the possibility to double revenue in the next five years. Communications and networking are a hidden side of the television business that few viewers are aware of. They see cameras and microphones—the primary video and audio production pipeline. But without the intercom there is no command and control, especially for live broadcast. 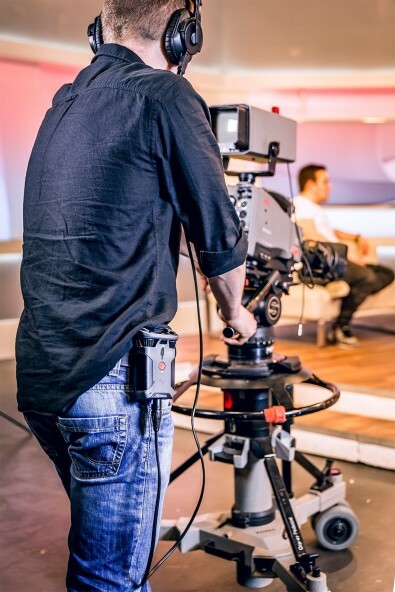 Riedel Communication’s products have been interwoven into the fabric of television production for thirty years, and they are set to continue innovating as we move into the IP and IT age.